The Macau authorities announced late on Saturday the blanket suspension of operations in the city’s casinos ahead of Typhoon Mangkhut, a storm expected to reach category 10. Casino operations were paused from 11pm on Saturday, according to a release. It is understood to be the first time in the modern era of public gaming concessions that the city’s casinos were told by the local authorities to suspend their operations. 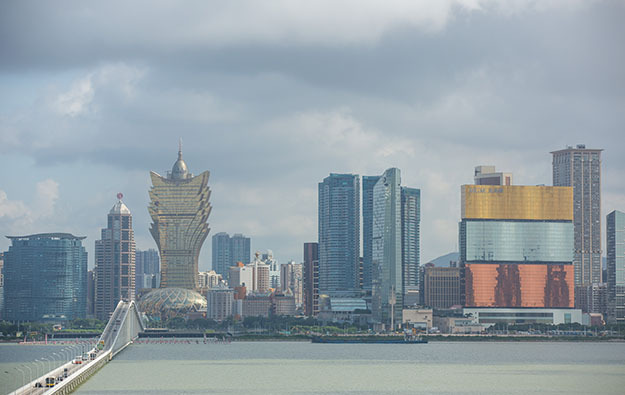 A government release stated that Macau’s Civil Protection Operations Centre would advise later when the city’s casino operators might resume their respective gaming businesses. The government said the city-wide suspension of gaming operations aimed to protect the safety of casino employees, visitors, and the city’s residents. The World Meteorological Organisation has described Mangkhut as the strongest tropical cyclone anywhere in the world so far this year. Saturday’s pause in city-wide casino operations was ordered by Macau’s Chief Executive Fernando Chui Sai On, ahead of Signal No. 8 likely to be hoisted at 2am on Sunday. The city’s border crossings to and from mainland China were to be closed at 1am on Sunday. Ferry services to and from Macau were suspended at 10pm on Saturday. Saturday’s city-wide suspension of gaming followed debate within the government about the need to have a mechanism for decision-making related to exceptional weather. Another press release issued earlier on Saturday by the local government indicated there were currently no specific provisions within the legal framework for the city’s casinos allowing for blanket closure of casinos. A meeting on Wednesday involving several government departments – including the Gaming Inspection and Coordination Bureau – indicated that the government would consider the safety of people inside casino resorts before deciding on a citywide suspension of casino business in the event of “typhoon or adverse weather”. The government said that Macau casino resorts provided from Saturday – without charge – an aggregate of 2,770 parking spaces for private vehicles, in order to fulfil public demand for safe parking during the typhoon period. Several of the 10 deaths that occurred during Typhoon Hato in August last year happened in underground car park areas.